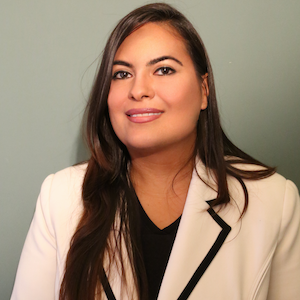 Cynthia Romero is director of communications at Catholics for Choice where she serves as spokesperson and manages press and digital communications strategies to elevate the voice of Catholics at home and abroad that trust women to make ethical reproductive decisions. She is also editor of the organization’s flagship magazine Conscience. Ms. Romero was an Obama administration official in the U.S. Agency for International Development (USAID) and a seasoned advocate for free speech and human rights at various global nonprofits. She has been a frequent contributor on CNN en Español, The Hill, Fox News, and other Spanish and English-language media. Ms. Romero holds a bachelor’s degree from Princeton University’s Woodrow Wilson School of Public and International Affairs and a master’s degree from Queens University Belfast where she was a George J. Mitchell Scholar.